This is one wave you don't want to miss! Lorelie Brown creates an addicting, and oh so steamy story about a guy who's surfing career may be on its way out, while the girl is just starting to get her toes wet in the professional world of photography. Immediately I could picture this southern California beach-side town and the characters who inhabited its surf-side residence. I found myself longing to step foot in the warm golden sands while watching a hot surfer or two glide across the majestic waves. Tanner has been away from his family ever since his dad unknowingly revealed one of his dirty little secrets with him. Now that his father is no longer alive, he resurfaces again in sunny southern California to reclaim his title among the surfing gods. Avalon has taken up residence in Tanner's family home, where they've welcomed her with open arms since she was a young girl. As she's trying to pull away from the debilitating home she grew up in, she's also got a shot at photographing one of the world's most famous surfers, Tanner Wright, for a major campaign deal. Between these two characters there's a lot of history and built up tension. It creates the perfect recipe for a very delicious romance. What begins as just a one time thing with no emotions involved, escalates into a full-fledged romance with the potential to damage some serious hearts. Will Tanner stick around after the surfing contest, or catch the next wave out of town? Can Avalon believe what her heart is trying to tell her, or stay hidden behind the camera lens, watching the world go by? This adult contemporary romance is the perfect read to devour on a hot, lazy summer afternoon, transfixing you to the California coast. Author Lorelie Brown has stopped by the blog to share some fun "Fact or Fiction" elements. Discover the truth behind some of her story ideas! FACT: The ASP runs the World Championship Tour where the top 32 competition surfers travel all around the world for the title. This year they’ll go to such exotic places as Australia, Fiji, Tahiti and all sorts of other places. FICTION: There has never been anyone named Tanner Wright on the WCT, especially not one who won championship ten years ago and is on the cusp of a second championship this year. It is possible that one of the 32 surfers are hiding a deep, dark family secret, but I didn’t write books about them. Promise. FACT: The ASP’s WCT has two American stops this year: the Hurley Pro at Trestles, in San Clemente, California, and the Billabong Pipe Masters in Haleiwa, Hawaii. FICTION: It does not have a stop in San Sebastian, California. Because I made it up. It’s not actually Tanner Wright’s home town, where he’s returning after a decade away in order to keep that deep, dark family secret. Nor does someone named Avalon Knox live with her best friend, who happens to be Tanner’s sister. FACT: Professional surf photography is a really difficult career for females to break into. There’s few hard numbers (at least that I can find) but when I read surfer and SURFING magazines, I scour them for photographs attributed to women and they are few and far between. FICTION: That means my fictional Avalon is totally willing to use her family connections when she’s assigned to follow Tanner 24/7 for an assignment. And if that means there’s sparks flying when they get up in each other’s faces…well that’s just the price she’s got to pay, right? Sounds like a very fun read for summertime. I'll have to add it to my TBR. 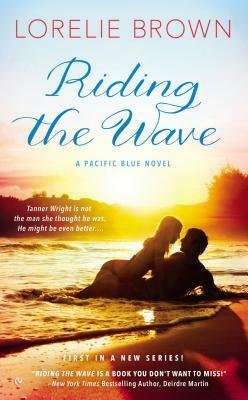 I am DEFINITELY adding this to my summer TBR list! Sounds like such a fun read! The "Fact or Fiction" with the author was so clever...thanks for such a great review.